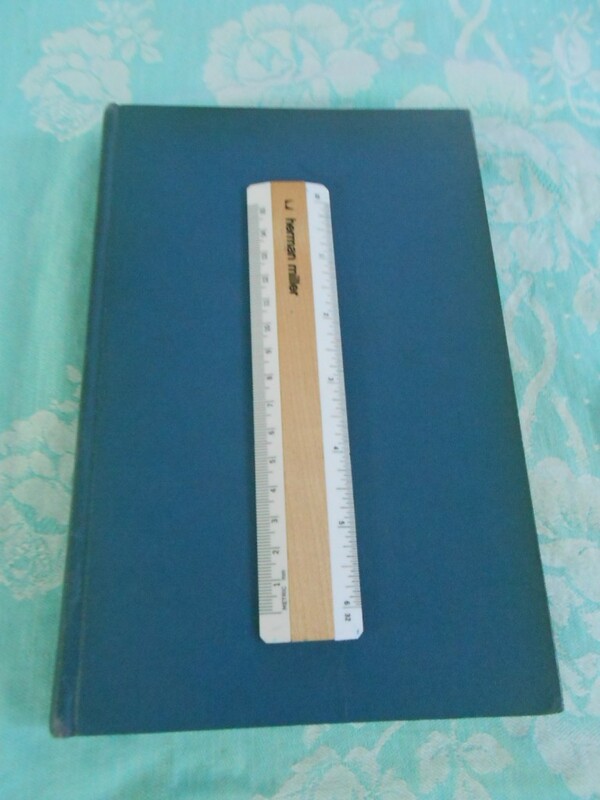 Great copy of FOB’s very first book … the lives of the liners. Not only is the book a gem of history … each of the illustrations were sketches done by FOB. Everybody knows I’m FOB’s biggest fan and I can’t say enough about this book. Great condition published in 1947. 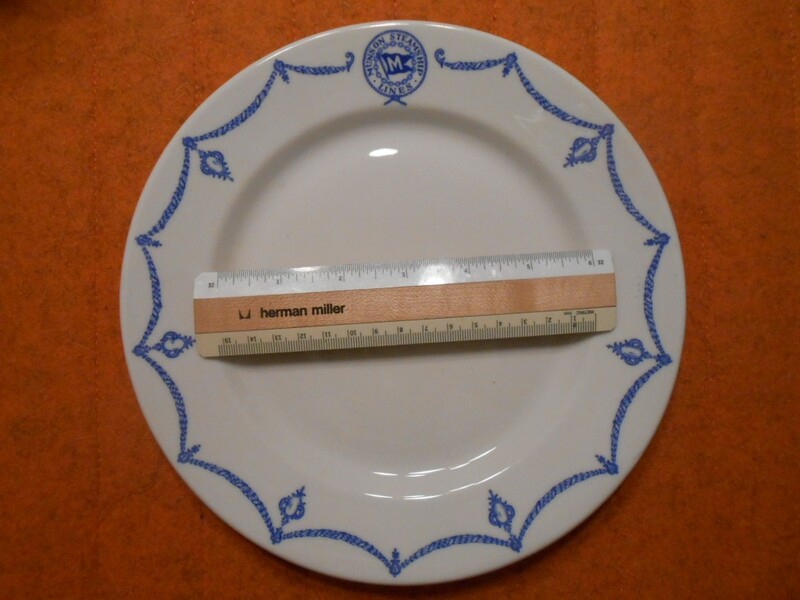 Lovely plate for the little Munson line. 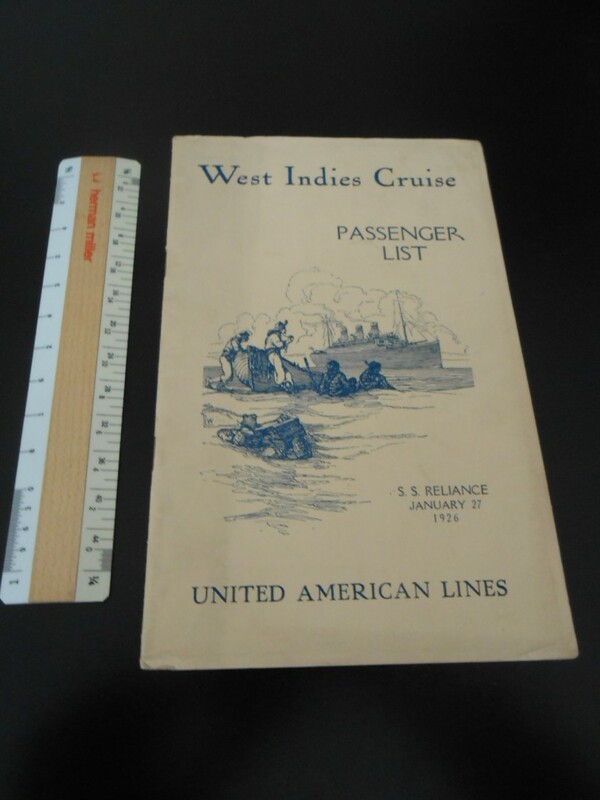 These little combo liners carried passenger and freight all along the eastern US Seaboard ports and Caribbean countries like Cuba from the early 1900’s until the late 1930’s.. Great condition (minor signs of use) with lovely boarder decorations and line logo. Pretty rare to find these! 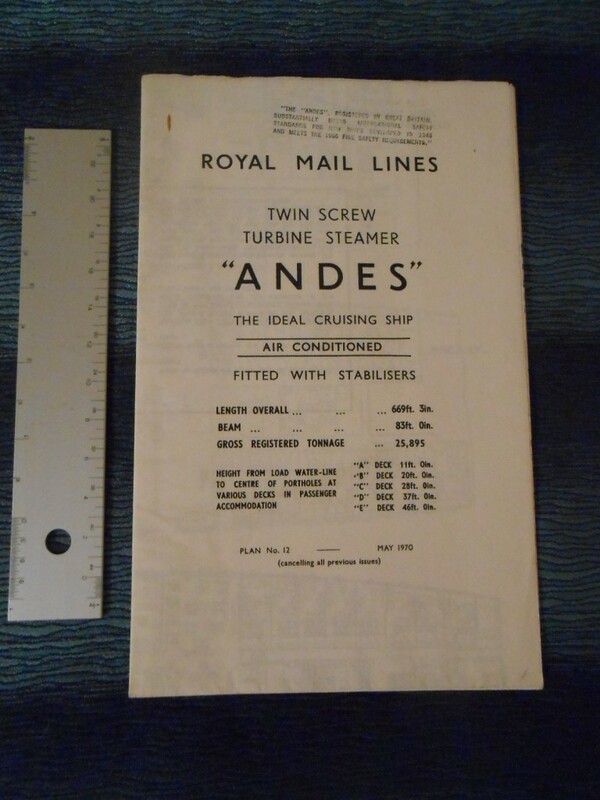 Typical inter-war souvenir item for the obscure RMS Raunine .. A delightful little passenger/ Freight combo liner. 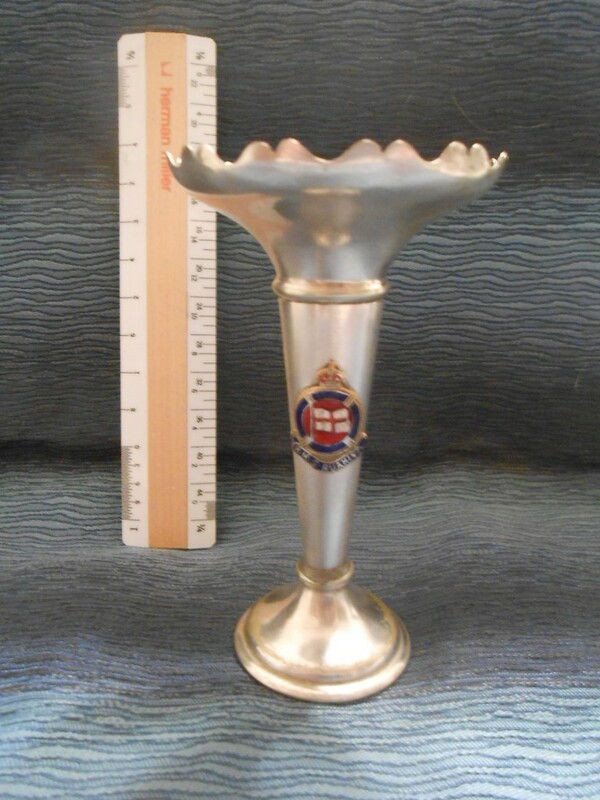 The silver could us a little polish but the vase is in really nice shape. Love the house flag enamel crest on the front. Unusual item to find in North America. 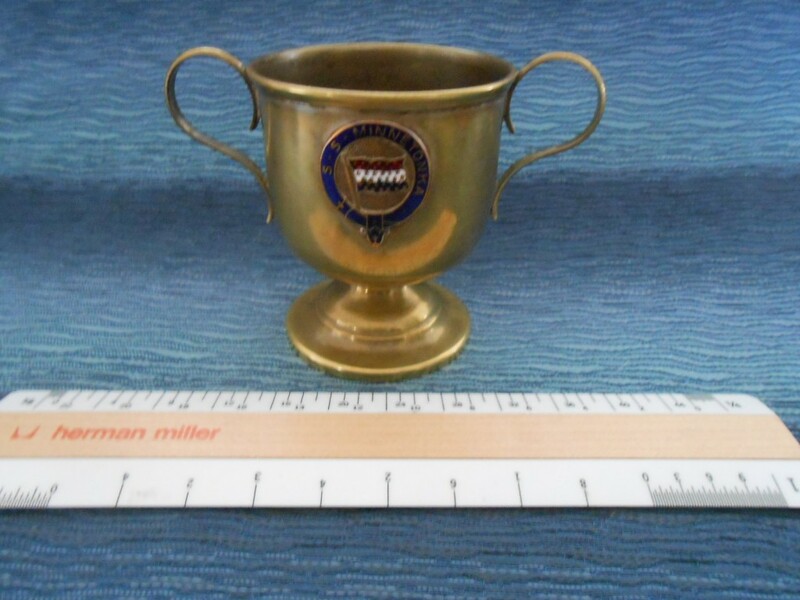 Lovely brass loving cup for the tiny little SS Minnetonka. She and here near sisters were Belfast built and part of Morgan’s IMM. She brought all sorts of new settlers to North America … only to be sunk in the Great War. Lovely enameled seal and house flag! 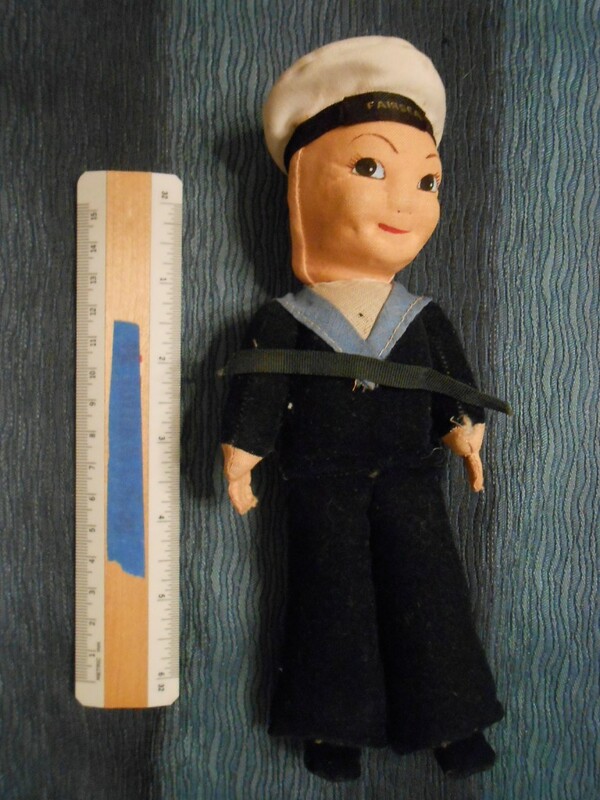 Sitmar sailor doll .. ever steamship line sold a version of these. I swear the facial expressions change every time I look at them. Little fabric face and velvety sailor suit .. in great condition. 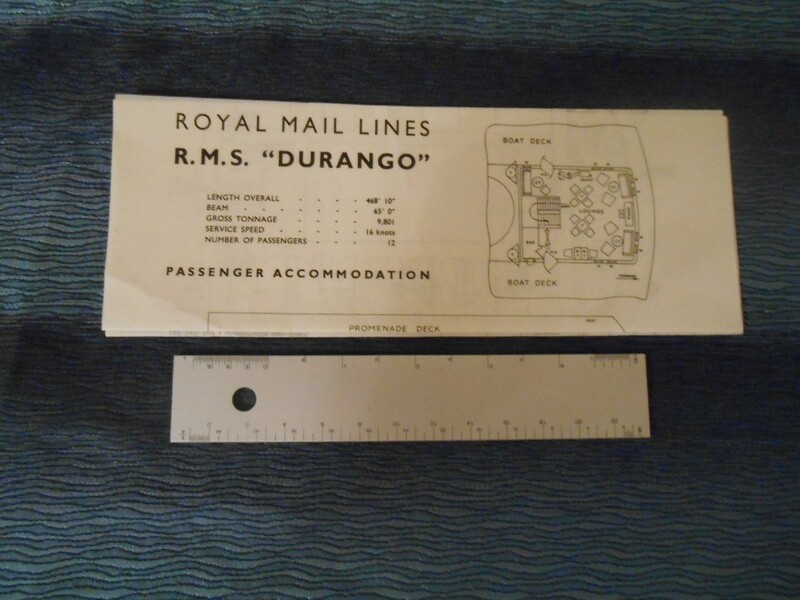 Foldout to about 8×11 and covers the passenger areas of the freighter Durango. She only carried 12 passengers! dated 3/1953. 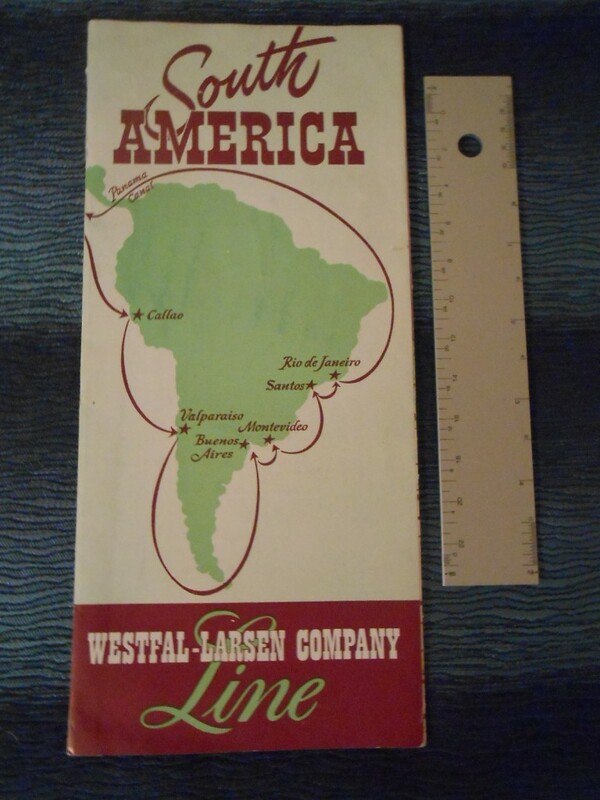 Not a common item … it describes their freighter services around South America. Covers ships like the MS Falkanger, Siranger, Grenanger, Hindanger and Rananger. Nice deckplans and both interior and exterior photos. Ok condition one 2 ” tear along one seam line and a rumple/winkle to the top of the back panel. 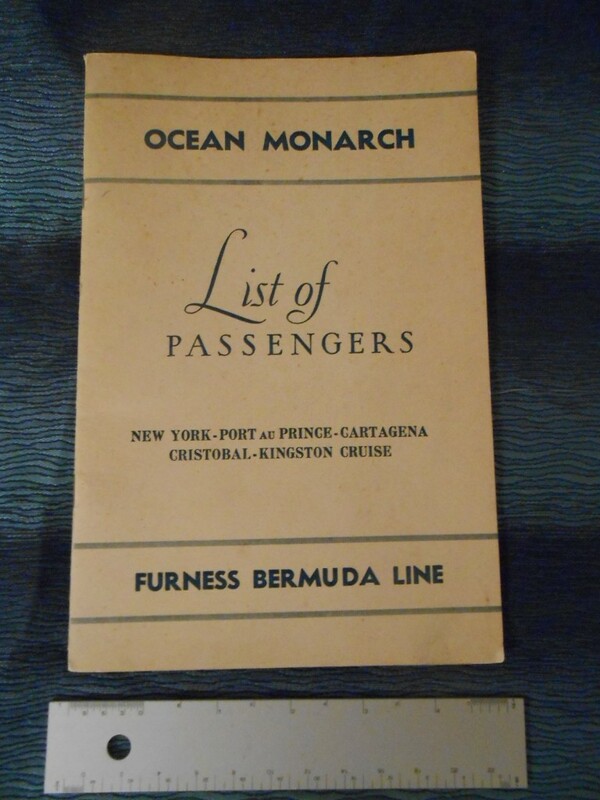 Furness Bermuda Line: Ocean Monarch 1956 Cruise Passenger List. Cruise Passenger list for the Ocean Monarch … from NYC- Port Au Prince, Cartagena, Christobal and Kingston. Lovely blue sepia toned picture of the ship on the title page. 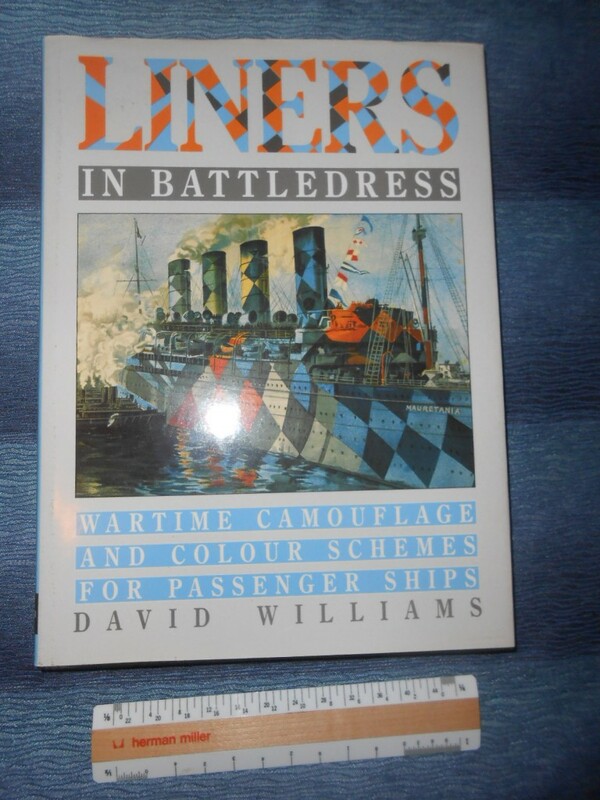 Includes information on the ship, passengers, officers and adverts. Great shape, a little browning to the front cover. 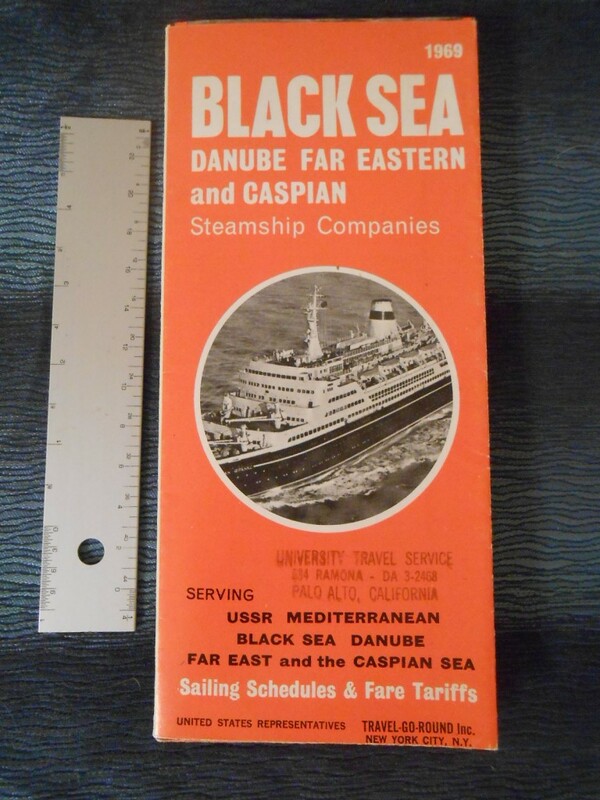 Intersting sailings and rates foldout for BS shipping services. Great shape on glossier stock. Agency stamp form Palo Alto Ca. Awesome plan for the great ship. Printed on one side of the heavier tissue. She only had a few more years of service left. Includes very detailed plans of each deck as well as a lovely profile. 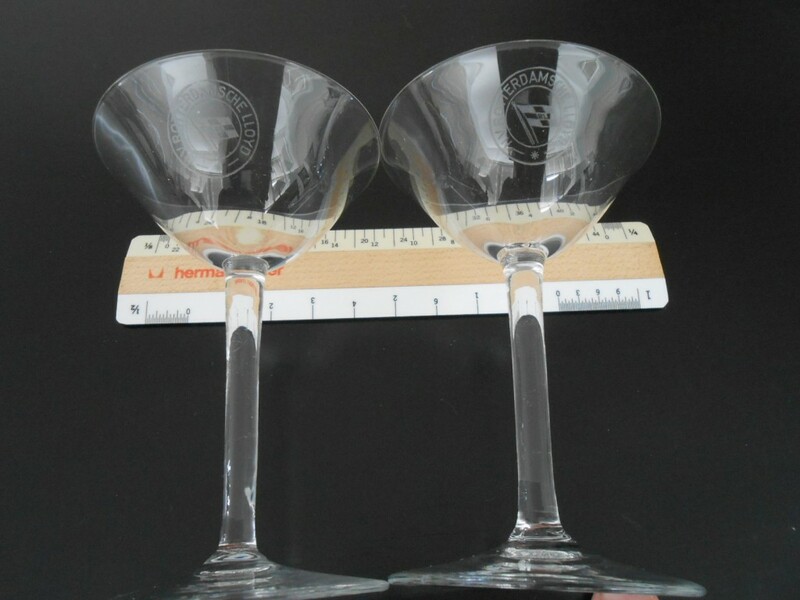 Lovely pair of “crystal” Champagne glasses … probably from the Ruys or Ojange. Line Flag and name etched into the bowl. Excellent shape! Cool little PL from a cruise on the Reliance. She started and a mid sized ship for HAPAG, was given to the Allies after WW1 and eventually sold back to HAPAG in the late 20’s. This list was from her time with United American / Harriman line. good shape. I don’t find much on this wonderful ship or her sister. Little souvenir paperweight from a RCL ship. This is heavy and perfect to hold down your incomming cruise mail! Great Italian Broggi mustard pot … directly from the onboard service of a Sitmar ship. I expect this is from one of the 70’s or 80’s ships like the Fairsky or Fairsea .. a little mystery. 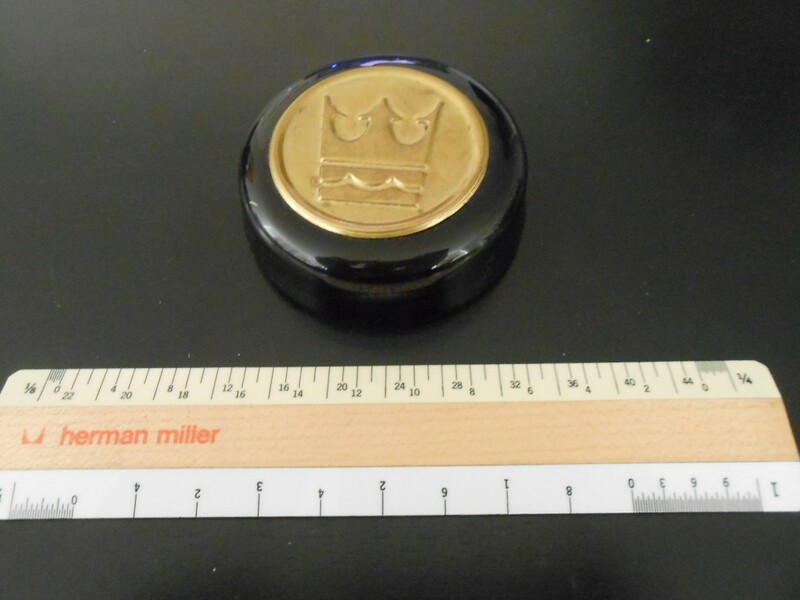 Includes the glass insert … which has a star of Bethlehem design stamped into it’s bottom. 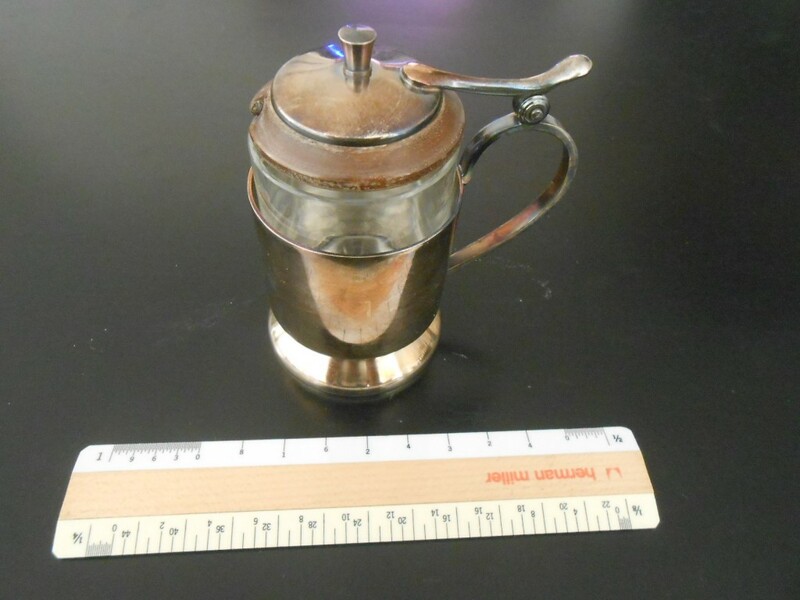 Can use some polishing to the silver and wood. 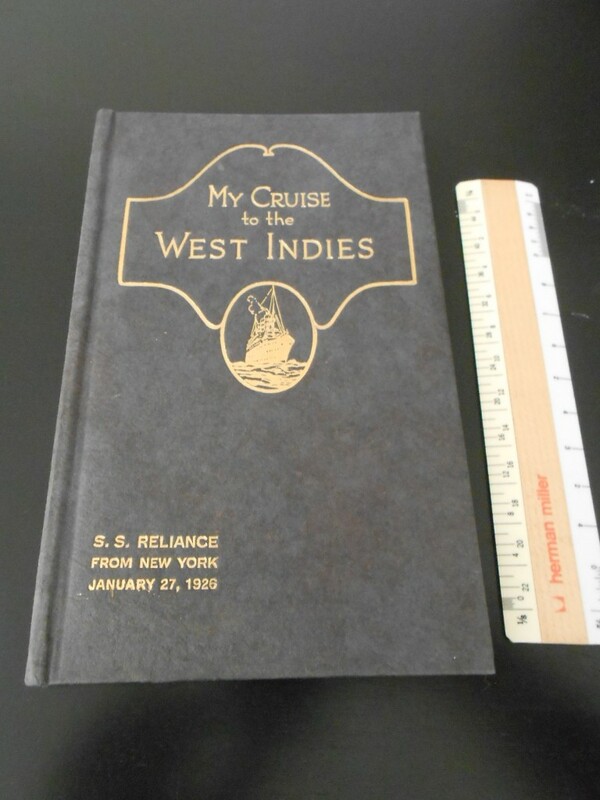 Lovely “My cruise to the West Indies” booklet .. a souvenir items from the cruise that started on 1/27/26 from NY. Lovely gold lettering and profile of the ship on the clover … this is in excellent shape. There are some handwritten notes from the travelers journey on the cruise. The reliance was owned by Hamburg American line and was given to the allies after WW1.. after several seasons under United American (Harriman) Line.. the ship was sold back to the Germans. 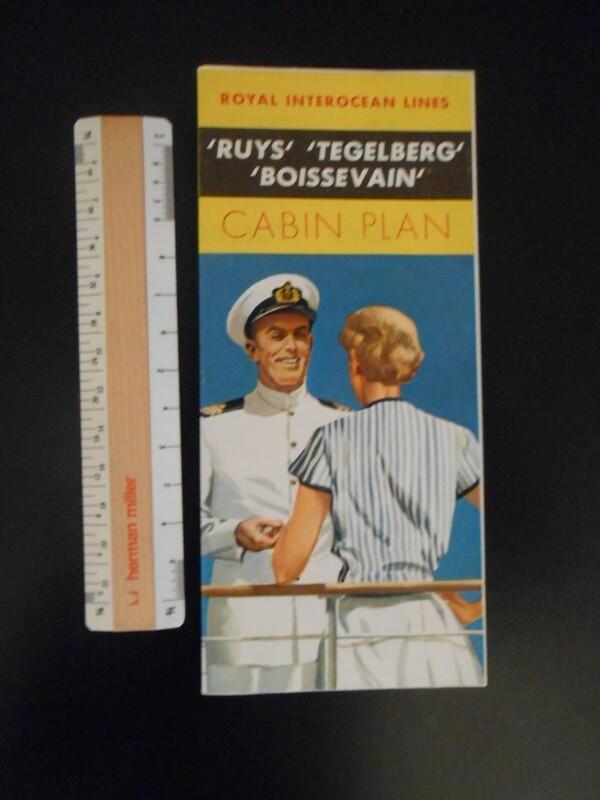 The booklet lists passengers and some cruise staff/ officers. 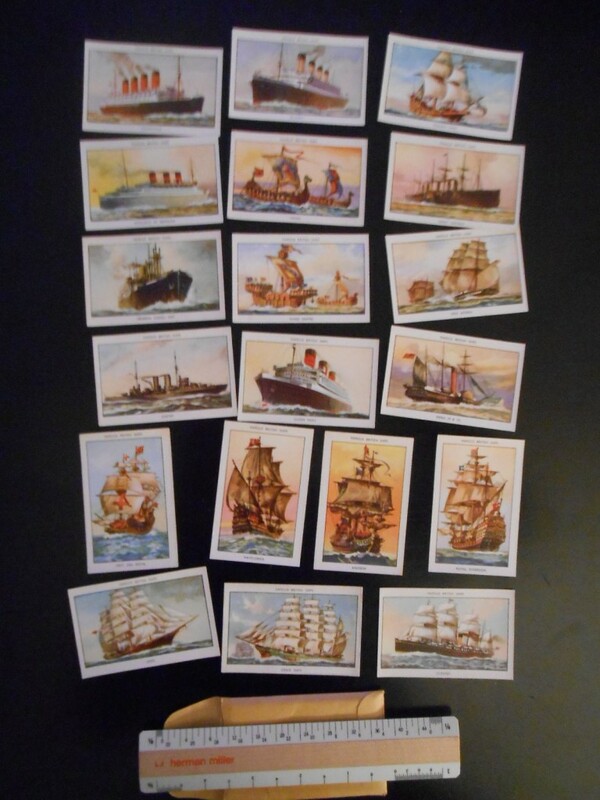 Interesting set of 19 cards of the “Famous Brittish ship” series … though some ships are certainly not Brittish. From a Viking warrior through the Queen Mary … these are in excellent shape. In the day ,these would have been 2 series of 25 cards each ..today there are 14 from series one and 5 from series two. Edgar Pullin was the artist fort he cards …I especially love the WS Olympic card! 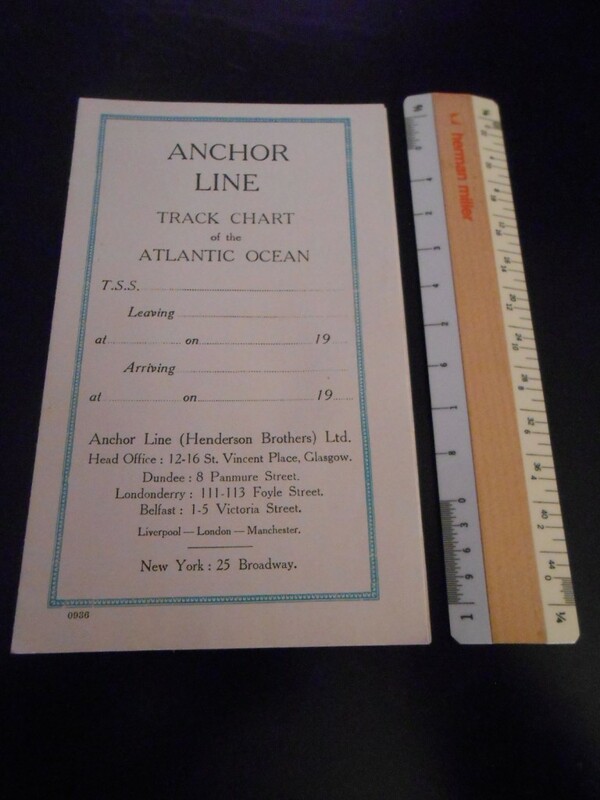 Lovely little track chart handed out to passengers so they could mark the ships progress accross the mighty ocean . This is unused and is in excellent shape. There are 4 pictures inside of AL’s proudest ships: the 3 funneled Transylvania and Caledonia, as well as the single funneled California and Cameronia. 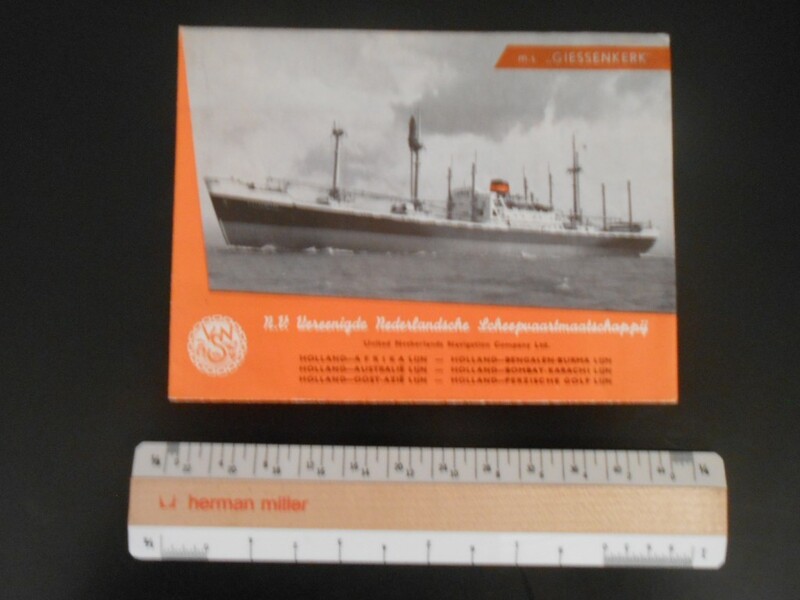 Wonderful foldout deck plans for the 3 Dutch sister motorships. Interestingly, they were also triple screw. One side has outstanding plans and interior photos the other has an outstanding profile of on of the lovely sisters. One the reverse side, here is a colorful route map showing the areas service by RIL, which served South America, South Africa, Austrailia and the Far East. Also beautiful graphic images of life onboard. OUTSTANDING condition. 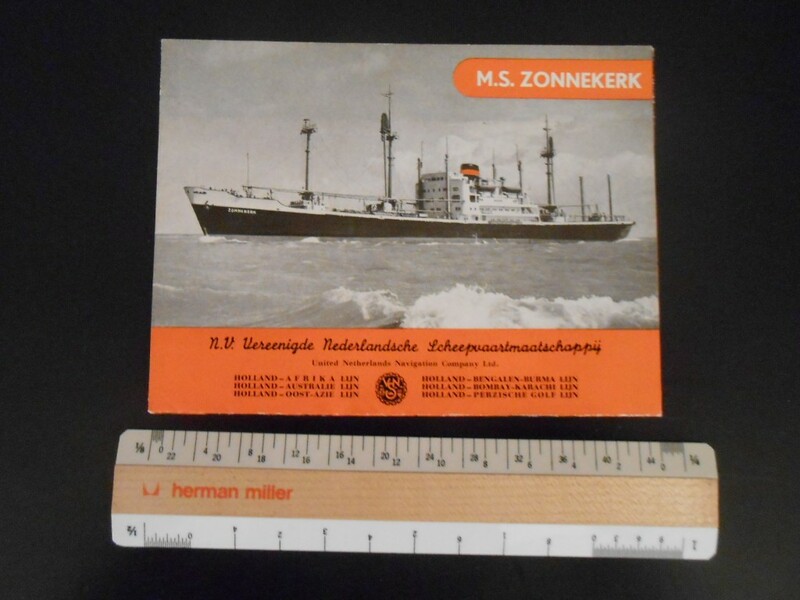 Wonderful foldout deck plans for the little lovely Dutch motorship. She was 476 feet long and had a displacement of just over 17200 tons. 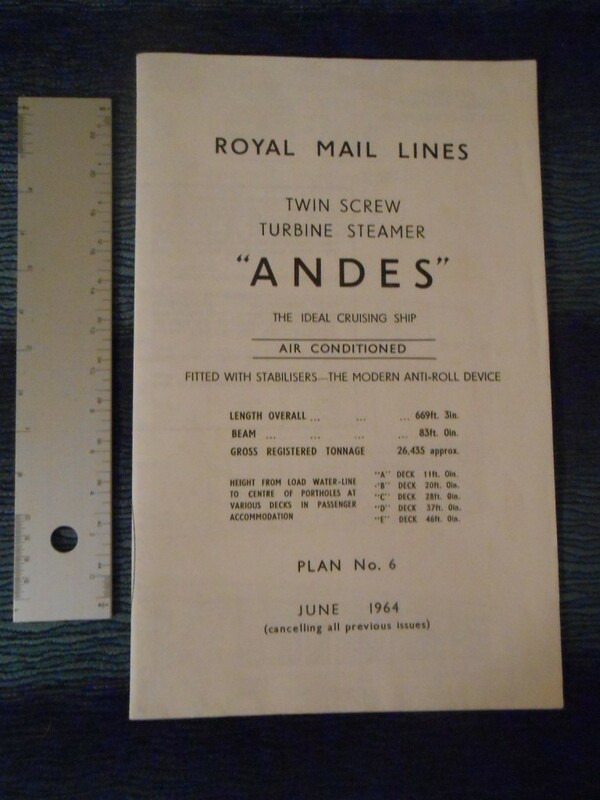 One side has outstanding plans and interior photos the other has an outstanding profile of the ship and a colorful route map showing the areas service by RIL, which served South America, South Africa, Austrailia and the Far East. Also beautiful graphic images of life onboard. OUTSTANDING condition. California travel agency stamp. 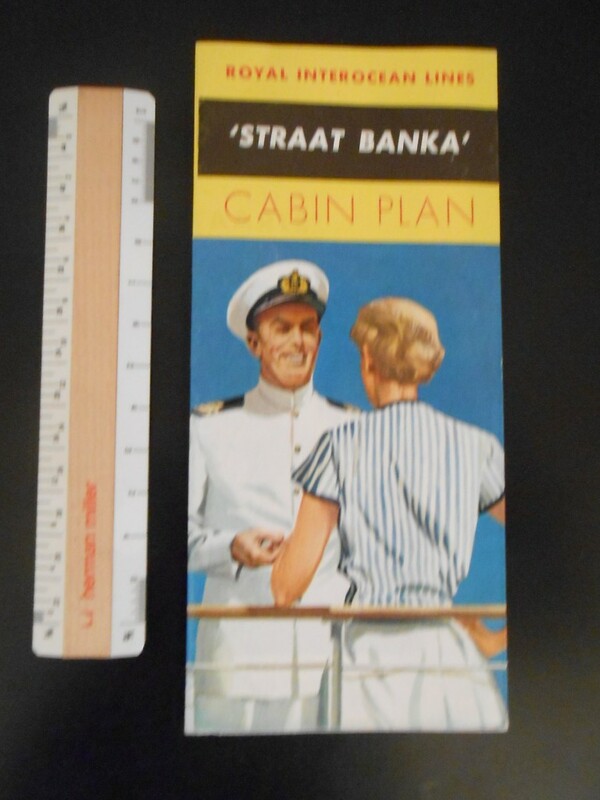 Wonderful foldout deck plans for the little Dutch motorship. 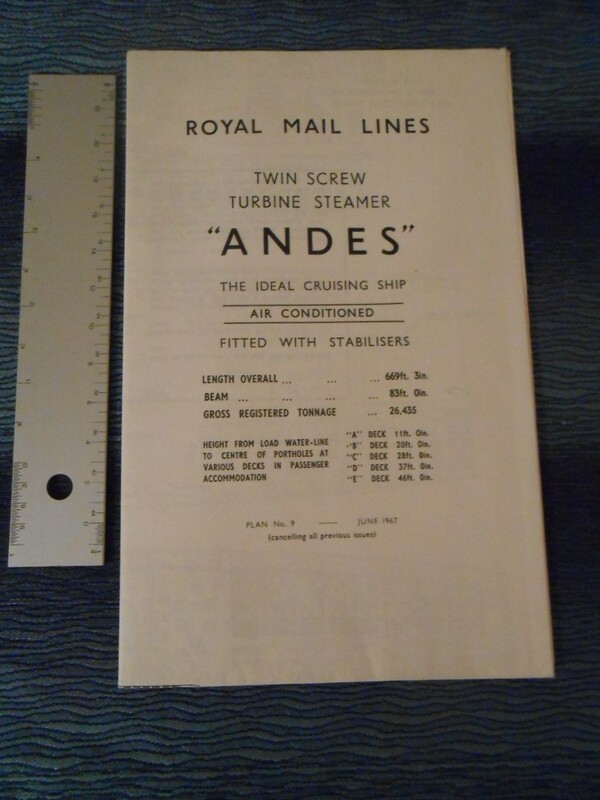 One side has outstanding plans and interior photos the other has an outstanding profile of the ship and a colorful route map showing the areas service by RIL, which served South America, South Africa, Austrailia and the Far East. Also beautiful graphic images of life onboard. OUTSTANDING condition. 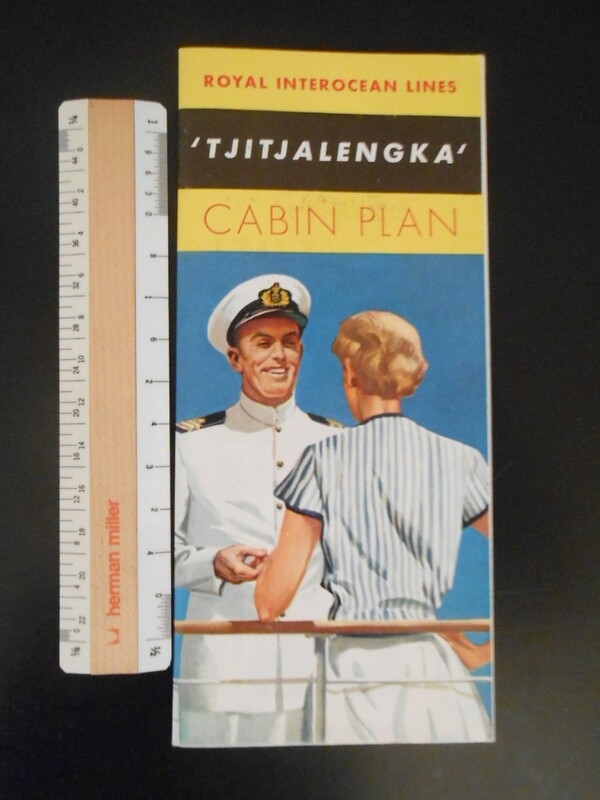 Lovely little deckplan fold out for the lovely 1956 little combo-ship. The foldout had nice photos of the ships interiors ..which were really modern and attractive … the chairs in the dining room are just awesome! In excellent shape and not a common item.